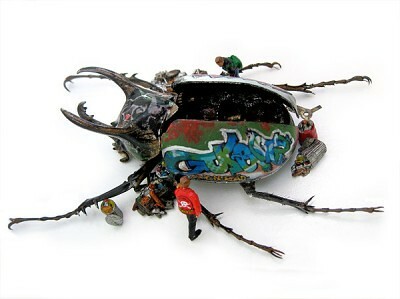 One of the coolest art pieces i've seen in a while. 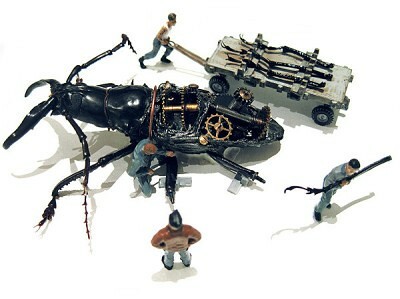 Mechanized giant beetles complete with tiny model train figures. Awesome. 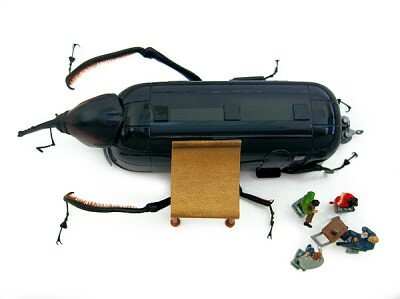 I'm tempted to try and make one myself but afraid of cutting open one of these giant beetles. 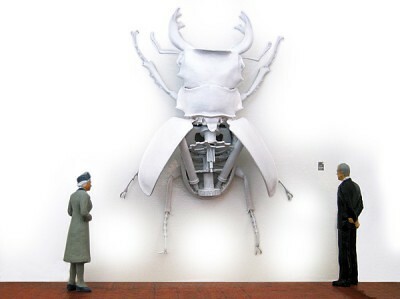 MICROMACHINA examines what makes the insect world tick, and considers our attempts to control nature and the consequences. Humanity’s blatant disregard for nature, where profit comes before life, will ultimately be our undoing. Pesticides, herbicides, genetic modification and massive urban expansion push the fine balance of life toward disaster. 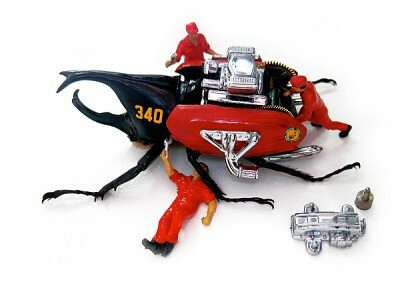 There has to be a point, when mother nature will say ‘too far’, and rid the earth of its biggest pest... us. 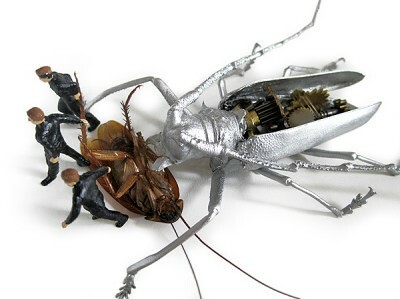 Once the stuff of science fiction, today flying and crawling insects are used by the military, fitted with audio and video devices. 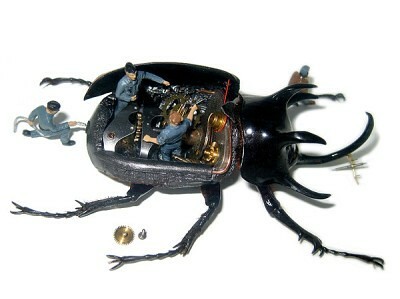 This exhibition experiments using real taxidermy beetles as mechanised shells, to show how we mistreat our fellow inhabitants, forcing them to do our will. When the planet’s soul is gone, all that’s left is cogs and pipes. 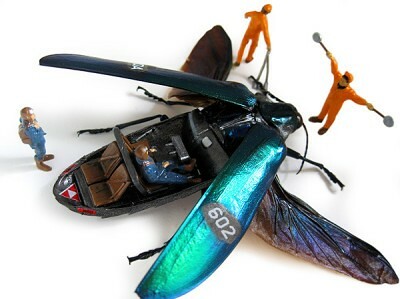 You won’t see insects like these on the Discovery Channel.